"Very good tasting recipe that was given to me by my mother. Try it, you will like it. Everyone who has had this raves about it. Best if made a day or several hours ahead." 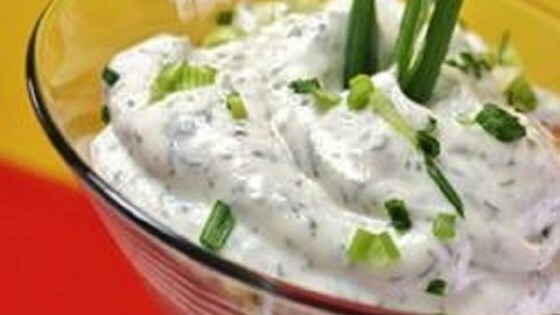 Stir the sour cream, mayonnaise, dill, onion, parsley, and Beau Monde (TM) seasoning in a bowl. Cover and refrigerate 8 hours or overnight. Good - but I found it salty. I made it for a party and wouldn't make it again. I use Seasoned Salt instead of Beau Monde seasoning and 2 tablespoons of the dill, parsley and onion. My husband uses this as a chip and pretzel dip too.